Gardening in Bahrain definitely poses some great challenges and if you are “no expert” like me, then gardening can become quite exhausting at times! However, I do try my hand at keeping a few edibles in the garden such as herbs, lemons, limes (still waiting), dates, lemongrass and some baby tomatoes. What I absolutely love about gardening and especially this time of year, is witnessing the first stages of growth… then watching that new beginning transform into an edible culinary ingredient that has endless possibilities both in cooking and baking! 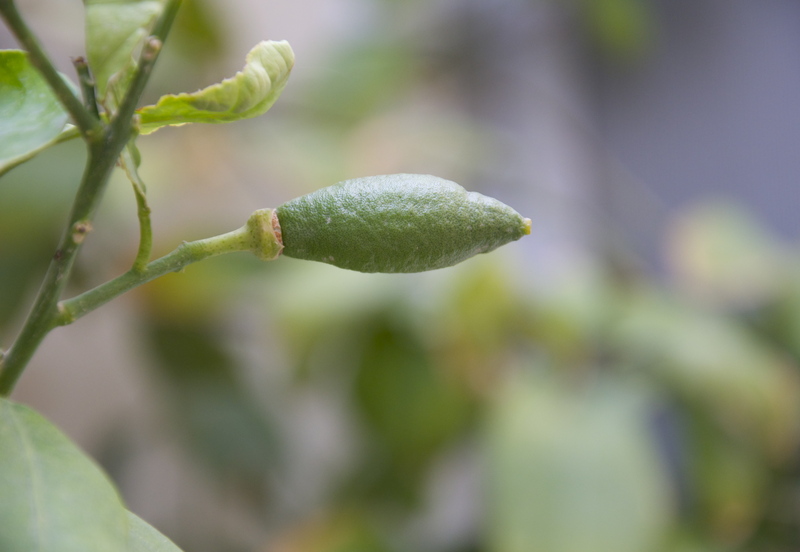 The amount of buds growing on the lemon tree will determine the volume of fruit it produces… if of course they don’t fall… like mine did last year! Apparently you need to underwater at this stage. 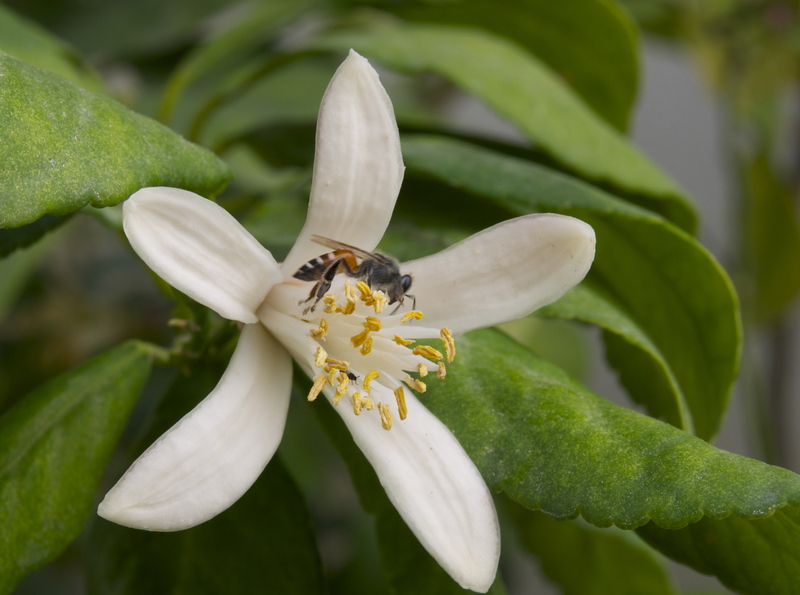 The buds of the lemon tree blossom and the flowers exude an intoxicating soft lemony perfume that fills the surrounding air…and what an amazing scent it is! 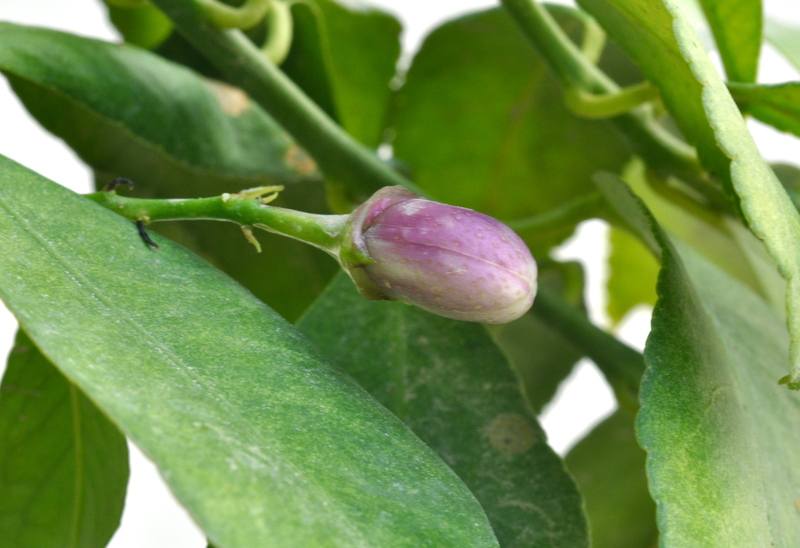 The flower is in bloom and peeking out from its center is the developing lemon! 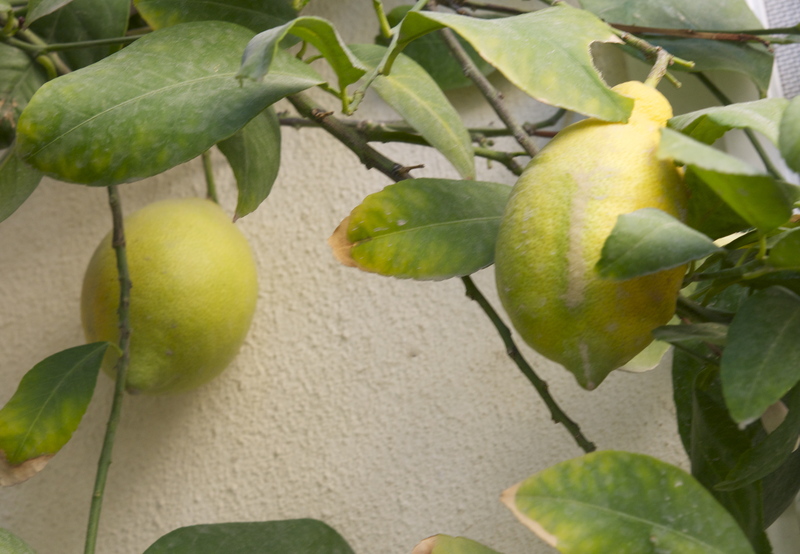 Lemons need plenty of water at this stage of growth so the fruit becomes full and juicy. 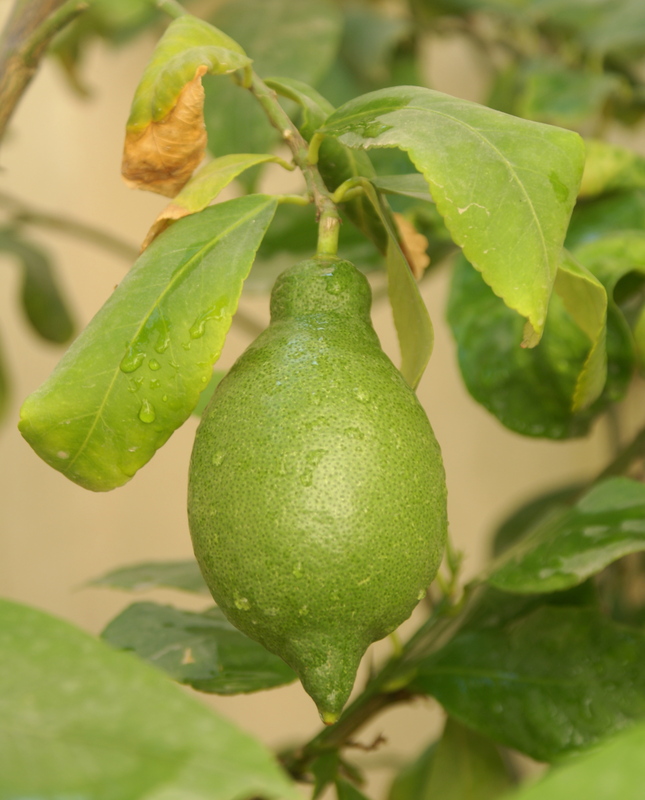 This was one of last years lemons which seemed to take so long to ripen… ! My quest to successfully grow lemons will continue! In the mean time, if anyone out there in cyber space is an expert on the subject of citrus trees I would love your advice! You might like to try some recipes using lemons. Click on image for recipes! Hi Moya, I don’t have any citrus trees, but have been thinking about trying a lemon or lime (or both) in pots. I have olives, a grapevine and (just recently) a black and a white fleshed fig tree in pots too. Love your work and look forward to reading more about your lemons. That is so incredible. I love the photos. 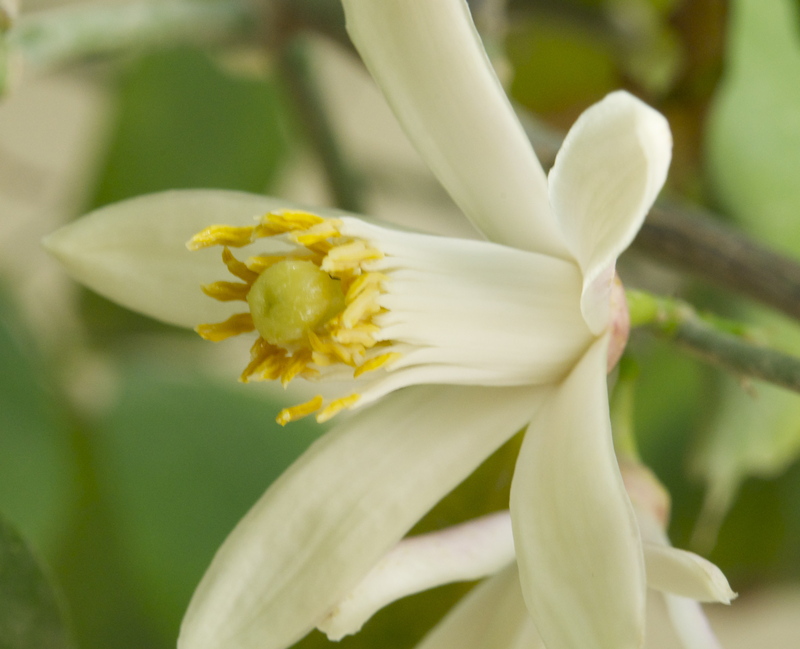 I guess I never thought what Lemon tree flowers look like. It is way too cold where I live to grow citrus trees (even outdoor in pots), but I do have strawberry plants that return every spring. And each year, my son and I race the squirrels to get the berries before they start nibbling on them. 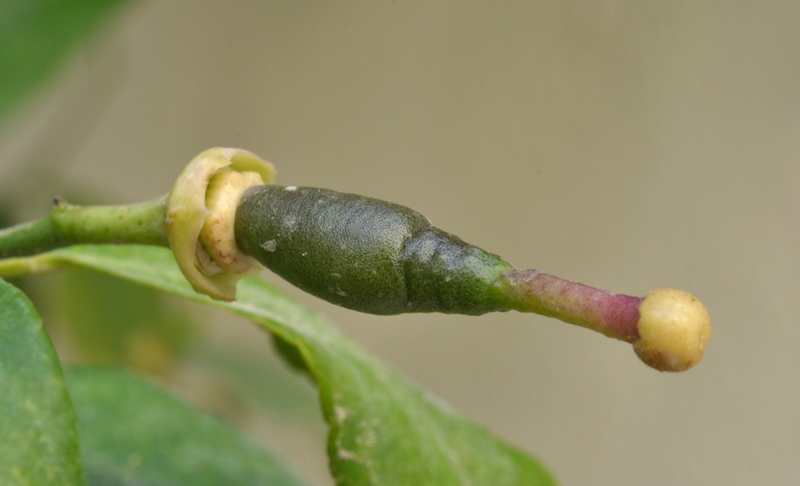 What a wonderful post, I loved seeing the various stages of the growth of a lemon. Such beautiful images. I’d love to have a lemon tree one day. Love your photos of the lemon tree stages! Now I know what to look for as my tiny flower dots begin to change. Thanks! I loved this lemon story, thank you Moya, I think your climate is good for citrus though I read they might need a bit of shading as over 40%C they stop growing completely until cooler weather arrives. It is very exciting watching flowers. Will they wont they develop into beautiful bright yellow lemons. This is the second year Im doing this. First year there were hundreds even thousands of flowers but they all fell off. I was so disappointed. So I went out (actually flew to Australia to get it) and bought another lemon tree a “Meyer” lemon on grafted root stock. 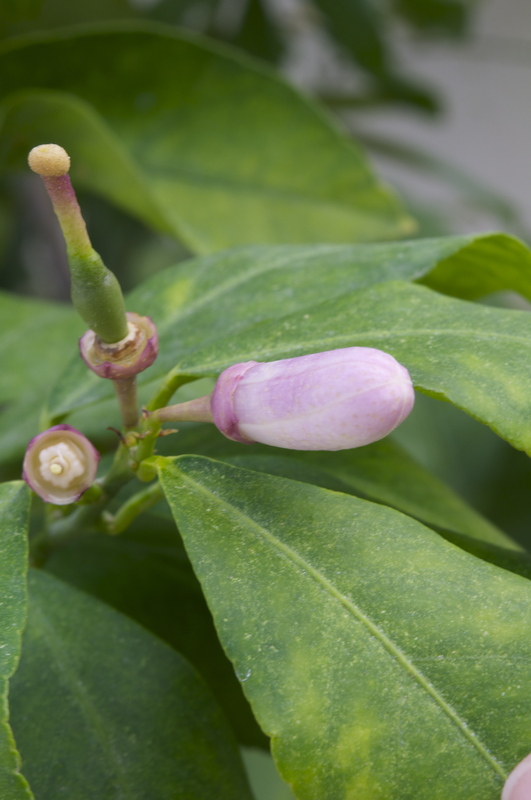 The first one I collected in Thailand was a variegated “Eureka” lemon that had been in the ground one year already before all those flowers dropped. Beautiful marbled white and cream green leaves with pink flowers, the fruit I saw on older trees (I couldn’t fit them into my suitcase) was pink and yellow stripes. This year they are both covered in flowers and again Im getting all excited, looking up pictures of flowers developing into fruit so I can compare. So far I dont have a clue as the flowers are just all happening now. Some have lost their petals, some of these have got a small green swelling at the base of the pistol but the pistol has blackened and is dying, others have the swelling but the pistol still looks healthy. I see on yours the pistol looks very healthy (that swollen red drum stick poking out the end of the little fruit) I wonder if you know when or if it falls off and if it must remain looking healthy until the fruit is quite large. IE will my ones with the blackening pistols and tiny (much smaller than yours pictured) green swelling abort (drop off) or is this OK. I noticed the ones on the variegated tree have bigger swellings and the pistol is alive and well……is the pistol in fact meant to stay on just becoming part of the fruit as it it swells along its full length? Anyway who knows if Im going to get fruit this year. It would be nice, that first shock was a big one, a carpet of flowers was all I got and I was imagining qa beutifull tree covered in pretty yellow lemons. Both mine are grafted so should set fruit they said within three years of planting out, so I cant tell just yet…could be another year is needed. Thanks again for your picture its just what I was looking for. Those flowers do smell lovely. Thanks for that Moya, seems like our trees are flowering at the same time as we are both in the Northern hemisphere. The smell is fantastic I have them at the Kitchen door so it can waft in along with the bees, ooops. I can see now after what you have told me im not going to get more than maybe ten or so lemons off the older tree and none off the newer tree. Looks like three years for a small grafted tree to start producing properly. Most with the blackened pistol tips have indeed aborted. I suppose just as well as its a skinny little tree still, the lemons would have weighed it down and maybe torn the branches in the wind. It was covered in flowers though, you could hardly see the leaves, now its half covered as the petals begin to drop. So I will concentrate on growing a sturdy framed tree this year, pruning etc without the loss of fruit as there aren’t going to be any on one tree at least. I can recommend a variegated lemon or lime at the door or any area well used by people in the garden like a court yard as its so attractive in leaf and flower and as you say the smell, it’s very refreshing. I gave an early feed high in potassium low in Nitrogen and very low in phosphates, a dedicated citrus food I got in Australia. I fed while they were just coming into bud I wonder if that is a problem? No new leaves have grown but certainly a bumper crop of flowers. Its still very exciting as it will be the first year I get anything at all. Holding thumbs for you, cant wait to see your tree full of limes. I have to report that on observation I found the very tip of the pistol does indeed blacken and fall off quite soon leaving a tiny little lemon behind! So I might be as happy as you this year with your lemons but with just a dozen or so I will be smilling. Our spring is misty and wet and this seems to bring its own problems. 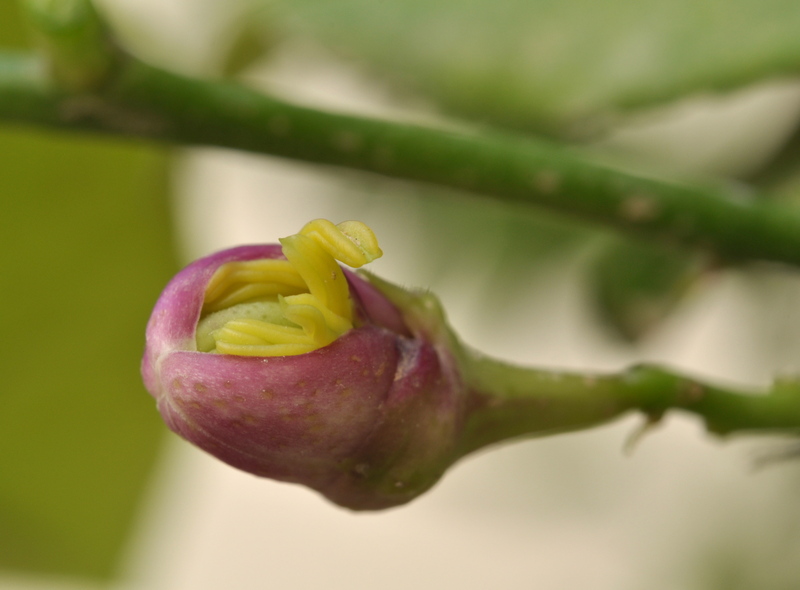 The falling petals in the congested flower bunches get stuck and powdery mildew develops in the flower bunches. Im not sure how this will affect the fruit or number of fruit. I give the branches the odd sharp tap so the petals fall away but it still happens. Gardening in Hong Kong poses its own set of challenges the climate is very difficult very with typhoons and what not but its just so wet and hot then bone dry and chilly. I think Bahrain must be difficult too but I don’t wish monkeys or bats on you if you love fruit! These animals are impossible and clever too. Both the bats and monkeys come at night to raid driving our dogs batty (pun intended). The bats hang off the eaves of the roof above my window at night casting huge winged eery shadows on clear moonlit nights across my bedroom walls and ceiling. I woke up one time and thought I had some kind of malarial fever, giant bats silently (they know Im in there) wheeling across my walls and roof. Following the bats are of course the large snakes who just love a nice juicy bat so they set up home in the trees as well. I’ve learnt to leave those mandarins alone completely alone after I came face to face with a python one evening with my arm stuck deep in the branches. It lunged at my head and I fell backwards flipping completely over the terrace wall into the thorny palm trees bellow lol. Shaken, stitched up and sore I learnt my lesson, don’t get between fruit and wildlife unless you want to be part of the food chain yourself. Those trees are quite a circus, the noise from birds, bats and monkeys squabbling, eating and being eaten is tremendous. Those little mandarins are sweet, sweet as honey, though.